Erica Groshen discusses the trends that characterize the future of the U.S. workforce and how robotics and artificial intelligence could have an impact on employment. The definition of employee might not be as clear cut as you would think. In this episode of Workers Comp Matters, host Alan Pierce talks to Erica Groshen, head of the U.S. Bureau of Labor Statistics, about the trends that characterize the future of the U.S. workforce and how robotics and artificial intelligence will also have an impact on employment. Some of the trends they discuss include the fuzzy definition of what an employee is, a growing gig economy, and independent contractors versus traditional employment. Erica L. Groshen is a visiting senior scholar at the ILR School of Cornell University, and served as the 14th Commissioner of Labor Statistics from January 2013 to January 2017. Alan S. Pierce: Welcome to another edition of Workers Comp Matters. This is Alan Pierce. I am with the law firm of Pierce, Pierce & Napolitano in Salem, Massachusetts and I welcome you to another edition of Workers Comp Matters. Today we are recording this show in Boston at the Annual Conference of the Workers Compensation Research Institute (WCRI) and we thank them for allowing us the opportunity to bring a couple of guests; this is the first of two shows that we are going to do from the WCRI Annual Briefing. WCRI was founded in 1983. It is the Workers Compensation Research Institute. It is an independent not-for-profit research organization which strives to help those interested in making improvements to the workers’ compensation system by providing highly regarded objective data and analysis. And today the kickoff speaker, who is our guest, it’s Erica Groshen. Erica is a Visiting Senior Scholar at Cornell University School of Labor and Industrial Relations. From 2013 to 2017 she was the 14th Commissioner of the U.S. Bureau of Labor Statistics. She has a Bachelor’s degree in Mathematics and Economics from the University of Wisconsin and she earned her Master’s and PhD at Harvard. Erica, I want to welcome you to Workers Comp Matters and look forward to our discussion. The title of Erica’s presentation this morning and which we are going to have her elaborate upon a bit is The Future Labor Force Trends and the Impact of Technology. Before we begin, I would like to just thank our sponsors. Case Pacer, software for the busy trial attorney to manage your practice and your caseload. To learn more, visit them at HYPERLINK “http://www.casepacer.com/”www.casepacer.com. And also PInow.com, find a qualified private investigator in your area, and you can learn more about their organization at HYPERLINK “http://www.pinow.com/”www.pinow.com. 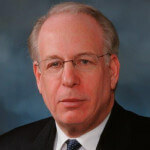 So first of all, Dr. Groshen, welcome to Workers Comp Matters and the Legal Talk Network. Erica Groshen: Thank you Alan. It’s a pleasure to be here. Alan S. Pierce: You know, an injured worker walks into my office and describes how he or she got hurt at work and we talk about the type of workers’ compensation case they might have, and its foundation, the very principle of whether there’s a workers’ compensation case is whether this person is an employee. And that is a term that I am sure you are familiar with, both in the colloquial as well as a more detailed description. Employee, as it is defined in the workers’ comp setting, is every person in the service of another, under any contract of hire, express or implied, oral or written, and that has been pretty much the definition. And when we go back a 100 years, when we had a workforce in the United States, in the early part of the 20th Century, it was pretty easy to determine who worked for whom, and now we are entering into an area that we are going to explore a little bit, where this line between employer and employee is not black and white, it’s sometimes not even gray, but it’s probably fuzzy and gray. What does that have to do with what happens to people at work? So let’s talk a little bit about, first of all, where are we as a society and an economy in terms of the workforce and how does the Bureau of Labor Statistics measure and quantify this for a variety of uses? I know that’s a lot to throw at you at once. Erica Groshen: It is, but that’s actually the world that the Bureau of Labor Statistics lives in, that there are a lot of different users and uses for the data produced and there are lots of questions that are being brought to the data. And for our data user, I think the key thing always is to think about statistics as kind of like a hand toolbox, that it’s this big box of tools and that you as a user have to sort through them and find the one that’s actually going to best meet your needs, and BLS has to be thinking about what tools it needs to create for that box. So a number of employees, BLS actually has many different measures of employment which reflect a lot of these different facets. So for example, in payroll employment, which is the number that comes out on the first Friday of every month as part of the employment situation, that’s collected by asking employers how many people do you have on your payrolls during the pay period that contains the 12th of the month. So that’s going to catch everybody who is covered by unemployment insurance. Alan S. Pierce: Basically what we would think of as a W-2 employee. Erica Groshen: That’s right, that’s who is going to be in there. But who is not going to be in there are all of the people who are self-employed, who are getting 1099s, they are just not going to be there at all. And so that’s one of the questions, well, how big is that labor force and some of the other data that BLS collects looks at that. So the household survey asks a very different question of a very different group of people. It goes to the households and says how many people in this household had worked for pay or profit during the week that contains the 12th of the month. So that would include all the 1099 folks, all of the people who might even just be working in a family business, so they were working for the family profit, but maybe not even getting some kind of compensation for it. Alan S. Pierce: Okay. You brought up an interesting point and you referred to them as the 1099 folks, and to me as an attorney who represents people who got hurt at work and need to be — shown to be an employee in order to be entitled to benefits, what may or may not be a “1099 employee” is subject to a lot of frequently litigation or dispute. And merely because a purported employer hires or engages a worker and says you are going to be an independent contractor, I am going to give you a 1099, that doesn’t necessarily make that person an independent contractor. And of course the motives for doing that are perhaps self-evident. You would say the employer, the purported employer, is saving payroll costs and FICA and unemployment in workers’ comp. The worker may be attracted to that because they may be sort of in the underground economy, they may not be filing tax returns, or they may indeed have an independent business. So from a legal point of view we have a common law set of criteria. If we are in a state like Massachusetts, which has enacted an Independent Contractor Statute, we have some further definitions. Generally speaking, most broadly the first criteria people look at is the right to control the work of the person, then method and manner of payment, provision of tools, setting the hours, et cetera. Now we have another category and I think you termed it the alternative workforce, and that is where the lines, even between independent contractor and employee, no longer are so black and white as they were, not that they were that black and white, this is where the fuzzy comes in. So let’s talk about, let’s define that category and group of workers and what that then means in terms of what happens to them? Erica Groshen: Yeah. So this is a large and by all evidence growing part of the labor market, people who no longer have a clear single boss. They either have multiple bosses or perhaps no boss at all. And they are really tricky to identify, because for example, you could be a regular W-2 employee of some organization, never show up on their doorstep, never talk to anybody in that company because you are assigned someplace else. Alan S. Pierce: This is the so-called temporary labor pool or force? Erica Groshen: You are contracted out. It might even be a permanent arrangement, but on paper, if a company has contracted out its personnel services as HR department to some other company, then on record you are an employee of this personnel providing entity. Alan S. Pierce: Right, we call them employee leasing companies and they basically lease the labor force and they provide all of the HR functions, which brings up interesting legal issues. If that worker gets hurt at the factory and is covered under workers’ comp from the employee leasing company, what is the responsibility of the factory where he or she got hurt, which could be third-party tort liability, but that’s a topic for another show. Okay, so we have these arrangements that have been around for years. Erica Groshen: But they are getting — but they are growing and we don’t actually have good measures as we need of how much they are growing, because the last time the BLS conducted and published the Contingent Worker Survey was 2005. They have now fielded a survey in 2017 and we will be getting those results soon and that may give us the first best indicator of how much growth there is in this area, but we also know that probably the questions need to be updated because there are some changes in the labor market. So there are some indications, but this is an area that really needs a lot more work if all parts of the policymaking community and the legal community are to understand what’s going on. Alan S. Pierce: And although the concept of employee leasing can go to white-collar as well as blue-collar, but a lot of these organizations really are getting the really entry-level unskilled workforce and these are the people that may be the most vulnerable to not being able to navigate this kind of system they are in and who they work for. I know here in Massachusetts we enacted a Temporary Workers Right to Know Law, which anybody who is providing temporary labor, and I am talking not so much to the permanent employee leasing, that person has to be given information as to who their employer is, the name of the insurance company, where they are going to be working, what their rate of pay is, because these people are sometimes picked up at a Starbucks parking lot, driven to a factory many miles away and then dropped off there at night, and this has been our problem. Erica Groshen: There’s another issue too is who is responsible for the training in those circumstances, because it’s quite clear that contract workers, that there’s a BLS study that showed that the risk of death on a construction job was much higher if you are a contract worker, which suggests that the training that contract workers are getting is not as good as the training that you would get as a regular employee. Alan S. Pierce: That is an excellent point, because that has been said many times by other people, the best way to control your workers’ comp cost is to prevent the accidents from happening in the first place, and safety very often takes a real backseat, especially for these kind of otherwise attractive relationships that have been created without concern for what happens. At this point we are going to take a brief break. We are going to get back with our guest, Dr. Erica Groshen and we are going to talk about the gig economy; what that is, where it comes from and where that’s going in terms of growth. So we will be right back. Alan S. Pierce: Welcome back. 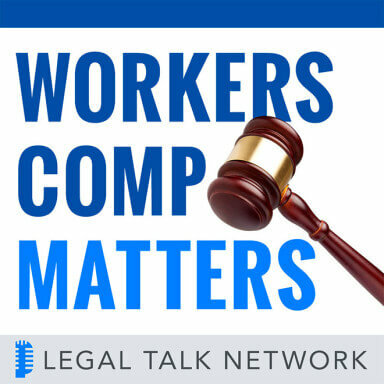 This is Alan Pierce at Workers Comp Matters on the Legal Talk Network. We are going to finish our conversation with Dr. Erica Groshen regarding future of the labor force in the United States and the impact of technology. So that is going to get us I think into two remaining areas that I would like to discuss. One is the so-called gig workforce or the gig economy as well as something else you touched on and I wish you had more time in your presentation, which is automation and artificial intelligence. So let’s first define what is the gig economy and where does the term gig come from? Erica Groshen: Well, of course the way it’s applied now is a fuzzy term, but I think for most people the word gig really makes them think about musicians’ gigs, which predates the computer by many decades. So a gig being a one-off event for which a person is compensated and people who work in that kind of world just have a succession of these very short-term jobs and they put together a career, a source of livelihood by having these succession of temporary jobs. In the context of how it’s measured in the Contingent Worker Survey, it’s a very simple definition, it’s work that’s explicitly temporary. The work will end when the need for that work is over. And so it includes these people, maybe wage and salary, or like restaurant workers, but they may not be like musicians or people doing work on TaskRabbit or something like that. Alan S. Pierce: Okay. And I have heard it used perhaps not quite accurately for, for example, Uber and Lyft drivers. That’s a little elastic, that’s not necessarily a one-time task. Erica Groshen: Right. There it really depends on how the worker sees it. So there are some workers for whom the Uber or Lyft driving is their full-time 9-5 job. That’s how they treat it and that’s how they perform it. So in the data from the BLS really whether or not somebody falls into that category depends on how the worker defines it for themselves. So for some of them it’s going to be gig work. They do it just when they feel like it or when the demand is high enough and they decide, okay, I am going to go out and do it and for others it’s not gig work, it’s their occupation. Alan S. Pierce: Okay, aside from the fact that being able to study and gather data on this is obviously a lot more amorphous than looking at people who pay FICA and unemployment insurance. The other ramifications — and by the way, this show cannot answer the question as to whether Uber or Lyft drivers are employees or independent contractors. That is a source of litigation pretty much everywhere where they operate. It’s being addressed by court precedent as well as legislation and it’s a moving target and it will continue to be a moving target, as well as some of these other contingent workers, because we are trying to fit into a round hole I guess what I would call an oval peg. It looks and feels like an employer relationship, but it doesn’t quite fit. So when it doesn’t fit and somebody is not an employee in the traditional sense, you mentioned obviously they may not be covered for workers’ compensation, but what are the other ramifications, and I know you touched a little bit about it is health and safety? Erica Groshen: That’s right. So there’s an employer responsibility for protecting health and safety, but wage and hour rules, antidiscrimination rules, who is in charge, who is responsible if someone is harassed on the job. There’s also clearly less stability for workers, communities and the financial system if you have more people whose income is less stable, because they have variable jobs or hours. They don’t have unemployment insurance, workers’ compensation; they are not eligible for Social Security. They are also very likely to not have employer provided benefits such as health benefits, health insurance benefits, retirement benefits, et cetera. And then finally, less employer provided training. When there’s a long-term relationship, the employer has much more incentive to make sure that worker is properly trained; in a gig environment that’s going to be much more likely to be the responsibility of the worker alone. Alan S. Pierce: And also don’t forget the limited availability of return to work or return to modified work, which there’s an incentive for an employer, not only to bring back an experienced worker even if the job has to be modified to accommodate a restriction; it’s also the fact that this worker can get off of a system that is — such as workers’ comp or even short or long-term disability because they become fungible and disposable. And again, this gets us back to where we were a 100 years ago when we did not have compulsory workers’ comp. The costs or the effects of this no longer is the responsibility of the purported employer. Who pays it? Look around, it’s you and me, the taxpayers, or it gets unpaid and people lose homes and lose whatever. So very, very serious. It’s a trend and again how the system deals with the trend, we have to understand it. So in that vein, I know this is probably impossible to answer, but I saw a study that said by 2020, which is only two years from now, up to 40% of the workforce will be independent contractors. Now, that to me seems very high, but is there any way for you to look into the crystal ball and kind of predict where we are going and let’s say in two to five years what will our workforce look like in terms of traditional employees versus independent or alternative employment situations? Erica Groshen: We know that there has been a tremendous explosion of workers getting 1099 forms, both as supplements to wage and hour work and workers who get only 1099. So we know that this is going on. BLS has not been able to modernize the questions enough to try and elicit this more directly. So we know it’s increasing, it’s probably not increasing as much as the forecast that you heard explains or they are defining it in a way that makes it look like it’s increasing more. Because if your question is by 2020 will 40% of workers get a 1099 at all, then maybe that’s true. But my guess is that the number of workers who are relying mostly on 1099 work or the number of workers getting a 1099 at any particular month, week, or year, that is probably much, much smaller. The bulk of compensation is still in wage and hour and is likely to be for the foreseeable future. Alan S. Pierce: Well, let’s hope so for all of the reasons cited, not just for the protections that workers’ compensation and other types of benefits give, but just in terms of the stability of the family and the workingman and woman that provides the shelter and the bread on the table, not to mention college tuitions, et cetera. The other thing I would like to talk about is automation and artificial intelligence, because that also is having an impact. We hear our national leaders talking about bringing jobs back, bringing factories back to America. We all know that there has been an outsourcing of much of our manufacturing, but when these jobs exist here or come back here, they are not being performed by my dad and mom like they did back post-World War II and on. So talk a little bit of how robotics is impacting the workforce and artificial intelligence. Erica Groshen: So robotics and artificial intelligence in many ways are very similar. What they do is they replicate very routine work. The robotics replicate physical work and artificial intelligence replicates routine brain work. So in that way they are fairly similar. They can affect different occupations obviously and particularly the artificial intelligence may affect more of the middle income jobs than the robotics did, which tended to focus on lower skill and working class kind of jobs. The main thing to realize when you think about these jobs is that the techno-optimists and the techno-pessimists are both probably wrong. They don’t know a lot about economics so they don’t think about this in the way that an economist and I would say even an attorney would. They tend to be extremely gloomy or extremely rosy, where the truth is really somewhere in between and much more interesting. So the key thing is that when you have an innovation that improves productivity, you are going to lose some jobs, doing the routine work. You are going to take the most routine part of people’s jobs and the people doing those jobs are then going to have this assist. And so in some cases you just may have a change of duties for those folks, where they focus more on the hard part. In other cases jobs may be eliminated, and so the question is, well, where are the new jobs going to come from? And the new jobs come from three very different places. One is that when you make an operation more productive, you are going to eventually lower the prices of those goods or services being produced and so there will be more of that consumed. So if you are talking about say driverless cars, you are going to get more transportation, and so there will be some new jobs created just because older people can travel more, younger people can travel more, people don’t shop as much; stuff is just brought to them and those kinds of things. So you have an increase because of the lower prices. You also have some jobs created, because there are jobs associated with that artificial intelligence or those robotics; building the robots, programming the machines, implementing, testing and implementing this innovation. And then the final, the third source of new jobs is when people buy more transportation, because the cost of transportation has gone down, they don’t spend every dollar, the new dollar that they have on transportation; they are going to use some of it for going to the movies more or more healthcare or things for their homes. So there will be an expansion of other kinds of jobs that come about when we buy more stuff, because something is cheaper. Those jobs eventually will expand to absorb all of the people released from the work because that’s how the economy operates. Alan S. Pierce: And we have seen it over the last century or two. I mean the story of what happened to the buggy whip industry when the automobile was invented. It changed things. Erica Groshen: Absolutely. Elevator operators, et cetera. But if we don’t ease those transitions through employer actions and through policies, then we can get big mismatches that create pockets of unemployed people who lose a lot. So if the new jobs are — there’s a big time gap when the jobs are destroyed and created, so there’s a timing gap, or that there’s a big geographic gap, they are located at different parts of the country, or if there’s a big skills gap between what the people who were released have and what the new jobs require, then you can get very large losses on the part of the workers who are displaced. And that experience for those workers, for their families, for their communities can breed tremendous resistance to change going forward, to reactive policies that are not helpful for anybody, and it also of course can destroy families and communities. So the benefits are absorbed by the owners of the companies and the consumers who get lower prices, but the costs are highly concentrated and we don’t have good mechanisms in this country to make sure that those who lose out through no fault of their own are compensated for taking the hit on our behalf. Alan S. Pierce: Yeah. And we try not to get too political on this show, but let’s look at what’s going on in the purported coal industry, where there is an effort to “bring that back” and bring back those jobs in areas which have gone through what you did, there’s a skill gap and there’s basically pockets of towns and cities that are economic wastelands. Yet, one can make the argument that you are bringing those jobs back for political reasons and that really the trend should be away from coal mining, which is inherently dangerous and difficult work and perpetuating basically an outdated economic area of activity for purposes other than the most noble purposes of giving people good jobs for good wages. So that seems to be how this problem can be politicized at the same time that we are dealing with these economic realities. Erica Groshen: From an economic standpoint, marshaling the resources being directed at restoring jobs that are no longer needed is probably far more expensive than retraining, revitalizing communities, retraining workers and revitalizing communities so that people can benefit from these improvements in productivity. So we need program evaluations to see what actually works and we need to take responsibility. Alan S. Pierce: Well, at this point I would like to thank Dr. Erica Groshen for being a guest, providing another perspective to those of us who are so heavily invested in the field of workers’ compensation, that even though this is not directly on point to what we do on a day-to-day basis, I think we have to be ahead of the curve as to what our client base, if you are an employer, what your employee base, what your obligations, responsibilities and rights are, and kind of keep an eye on these trends, because before you know it a trend is now the reality. So having said all that, I would like to thank Dr. Groshen for being our guest and I would like to thank you for listening. Tune into our next show, which will be with Dr. Richard Victor, talking about workers’ comp in the year 2030. And for those of you listening, go out and make it a day that matters. Thank you.